Richard Perkins was shot by Oakland police multiple times as they responded to an automobile "sideshow" with vehicles involved spinning and performing "donuts." According to Oakland police, officers were towing vehicles near 90th Ave. and Bancroft Ave. on Sunday evening, November 15, 2015. The officers were "approached by a subject who pointed a firearm in their direction," according to the release. 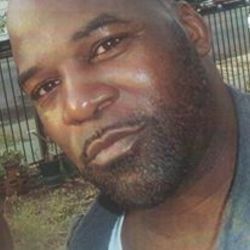 Richard Perkins was shot multiple times by officers. Early Sunday morning, Oakland police and the California Highway Patrol responded to a sideshow involving hundreds of vehicles on Interstate Highway 880 in Oakland.